Experience It For The First Time in 3D! 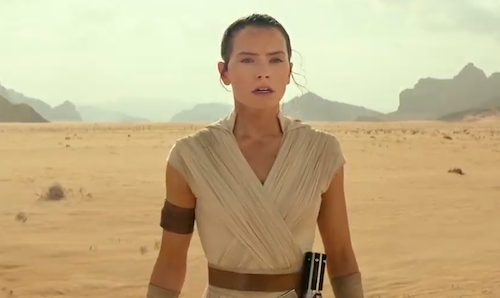 Whether you're an old fan or new, there's no denying that seeing Star Wars on the big screen is an event not to be missed -- especially when it's the first Star Wars movie to ever be presented in spectacular 3D! The duel with Darth Maul, the harrowing Tatooine Podrace, the first meeting of Artoo and Threepio, and the introduction of the Star Wars Saga's tragic hero, Anakin Skywalker, are all back in an all-new 3D presentation of Episode I, an experience that promises to truly surround you with the Force! 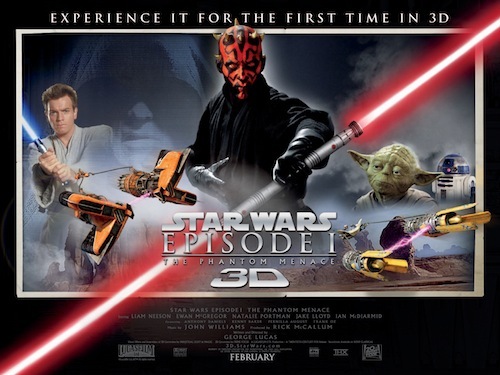 To celebrate the release of Star Wars Episode I: The Phantom Menace 3D which arrives in cinemas February 9th, we are giving away two pairs of tickets to an exclusive advance screening on Wednesday the 8th February. 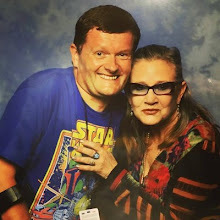 The screening will take place at a West End venue (this will be revealed once you receive your ticket), in a galaxy far, far away. Stormtroopers will open the doors at 5:30pm, followed by action in the foyer. The saga will begin at 6:30pm. For a chance to win a pair of tickets, please email your name and address here. The competition closes on Thursday 26th January. Star Wars® and all characters, names and related indicia are trademark of & © 2012 Lucasfilm Ltd. Sad you didn't wait until May 4th to release it. But still awesome. I cannot wait to see TPM in 3D!! I think the lightsabre battle is going to look pretty spectacular! Thanks to everyone who entered the competition. The winners have been notified.